The goal behind this play is to get the defense to press up and play the receiver routes which are all shorter ones. If you’ve used this formation and had the Running Back be the outlet every time, then running this play where he goes deep may catch the defense napping. The Quarterback can fake the handoff or just drop back. I would recommend just dropping back as the fake will bring focus to the Running Back. As the QB drops, he should look to one of the other receivers for a couple seconds giving the running back time to get up the field. 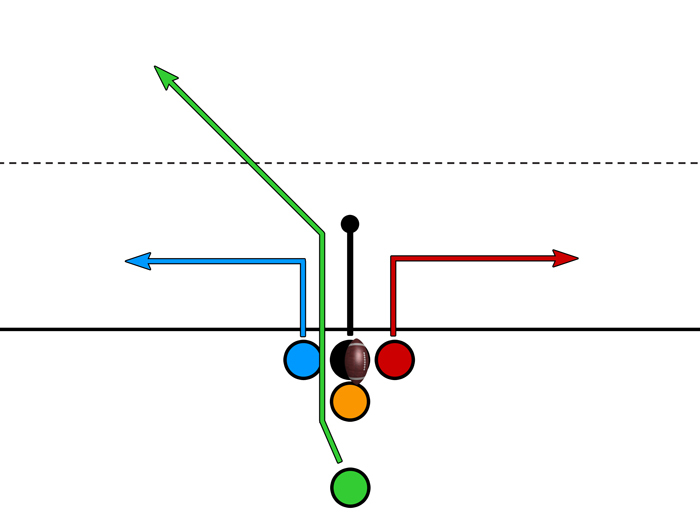 Once the RB breaks into the Corner route, the QB should look in his direction. If the RB is covered, then the QB should look short across the field starting with the same side the corner route was run. I like running this play against a man to man defense (especially on short, passing only situation). 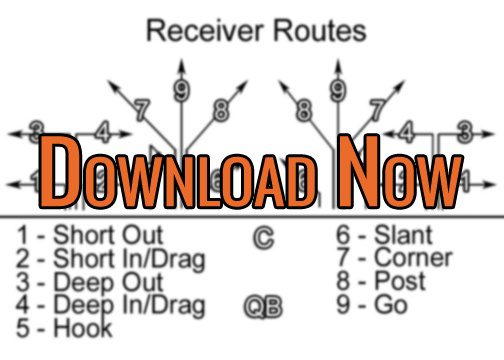 You can have the receivers and center run different routes changing the dynamic of the play based on the defense you’re facing. One example against a Cover 2 (defense with 2 safeties) might be to have the receiver on the same side as the corner route run a deeper out. This may draw the safety toward him as the RB runs the Corner route behind the safety.